When walking up to the museum the garden is decorated with Mediterranean species, including large pines. 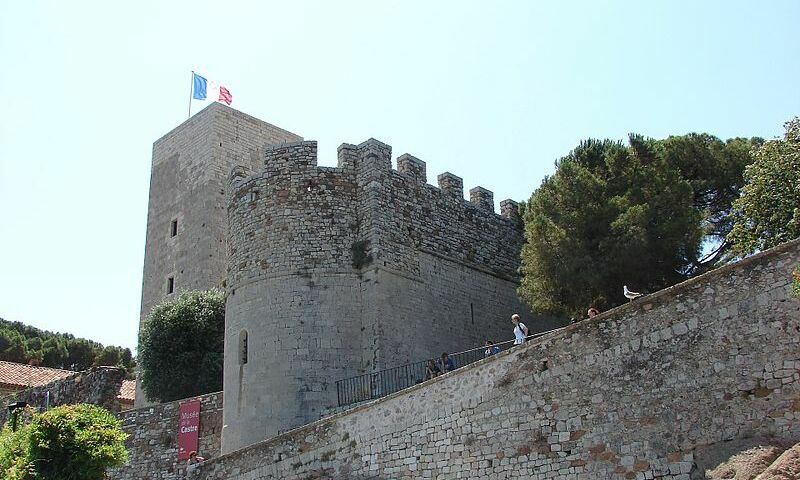 After the visit of the collections, the visitor arrives in the inner courtyard of the museum in the center of which is located the watchtower of the old castle of Cannes. Located on the heights of Suquet, the historic district of Cannes, in the remains of the medieval castle of the monks of Lérins classified historical monument, the museum of Castre overlooks the Croisette, the bay and the Lerins Islands. The museum presents prestigious collections belonging to the City of Cannes: primitive arts of Himalaya-Tibet, Oceania, pre-Columbian America and Mediterranean antiquities, musical instruments of the world (Africa, Asia, Oceania and America) and also orientalist paintings and objects the 19 th century. The square tower of the 12 th century (109 steps) offers an exceptional 360 ° view of Cannes and its region. Free: 1st Sunday of each month from November to March inclusive, under 18, students up to 26 years old.